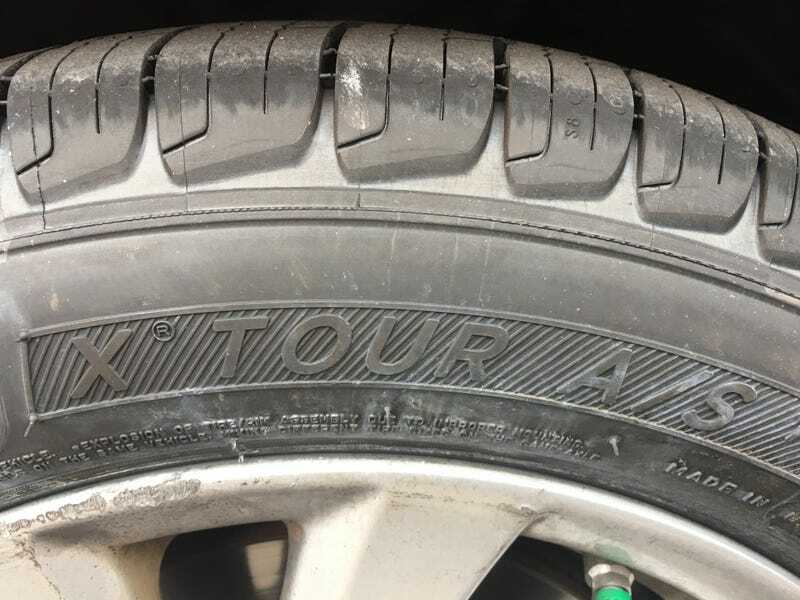 I’m really impressed by these tires, especially in comparison to the Firestones and Bridgestones I had before. Despite being a long life tire (80,000 mile warranty), they are quiet, don’t squeal off the line when I’m a tad too aggressive with the clutch off the line, are comfortable and provide an amazing amount of grip, much more than than an all-season tire should IMHO. Also helping to transform the car was a proper mount and balance performed by Costco. My old tire shop said my Firestones were perfectly balanced when I had them checked a few months back but I still had a slight shimmy in the front that made me think some component in the suspension was worn out. Now the vibrations are gone and the handling feels great, just like it used to when it was a new car.